Killeen Police are conducting a Death Investigation. Officers responded to the 400 block of 48th Street at 12:01am, on Wednesday, August 12, 2015, after receiving a 911 call of a man down. Upon the officers arrival they located a male lying on the ground, unconscious and not breathing. The Killeen Fire Department EMS arrived however they were unable to resuscitate him. Justice of the Peace Bill Cooke arrived and pronounced the victim deceased at the scene at 12:39am; he ordered an autopsy to be performed at the Southwestern Institute of Forensic Sciences in Dallas. The name and age of the victim have been withheld at this time due to the ongoing investigation. Detectives are asking anyone who may have information about this incident or anyone involved, to contact Crime Stoppers at 254-526-TIPS (8477) or go online anonymously at www.bellcountycrimestoppers.com or text BELLCO along with your tip anonymously to 274637. Text HELP to 274637 for help with the tip or text STOP to 274637 to stop the tip. All information is confidential and if your tip leads to the arrest of person responsible for this crime, you could be eligible to receive up to $1,000 in cash. KPD Investigates Death on Del Mar Ct.
A death investigation is being conducted on Del Mar Court by the Killeen Police Department. 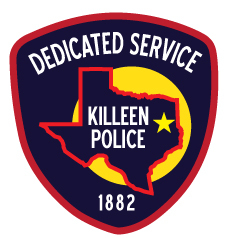 Killeen Police received a 911 call at 12:20pm, in reference to a shooting in the 3600 block of Del Mar Court, on Saturday, April 18, 2015. Upon the officers’ arrival, they located a 3 year old female suffering from a gunshot wound. Officers began CPR until paramedics arrived and transported the child to Metroplex Hospital where she succumbed to her injuries. The victim was pronounced deceased by Justice of the Peace Garland Potvin at 12:40pm. During further investigation into the shooting, detectives were able to determine how the child was shot and who was involved in the shooting. This case was reviewed by the Bell County District Attorney’s Office and a complaint was returned charging the victim’s father, 27 year old Ashton Blake Salvato, with Manslaughter. Justice of the Peace Bill Cooke arraigned Salvato and issued a $1,000,000 bond; he will be transferred to the Bell County Jail later day. Detectives continue to investigate this shooting. Further information will be released as it becomes available. The Killeen Police Department is conducting a death investigation on Trotwood Trail. Officers responded to the 4000 block of Trotwood Trail at 2:54am, today, in reference to assisting EMS. The officers arrived and assisted paramedics when they located a unresponsive male who was bleeding severely; he was immediately transported to Seton Medical Center Harker Heights, where he succumbed to his injuries and was pronounced deceased by medical authorities at the hospital. Officers learned through the investigation that there was a domestic dispute involving a female and the male, at some point during the argument the male received an injury that required medical assistance. Officers took the female into custody and transported her to the Killeen City Jail where she will remain until this case is reviewed by the Bell County District Attorney’s Office and formal charges are returned. The names of the male and female have been withheld at this time. This case continues to be investigated and information will be released as it becomes available. Killeen Police are investigating the death of a Fort Hood soldier on Cantabrian. Officers received a report of possible deceased male in the 3300 block of Cantabrian on Tuesday, January 13, 2015 at 8:06am. Upon the officers’ arrival they located a deceased male lying face down in front of his residence. During the investigation the officers learned that the male was a 24 year old Fort Hood soldier who had recently returned from West Africa. Due to conditions in West Africa and because the male’s cause of death was unknown at the time, precautionary measures were put into place. Officers deployed the City of Killeen HAZMAT Team to respond to the residence at 3306 Cantabrian. Justice of the Peace Bill Cooke pronounced the male deceased at 8:26am and ordered an autopsy to be performed. The male’s body has been removed and taken to the Carl R. Darnall Army Medical Center to run a test for Ebola; we should learn the results of that test by the end of the day. There is no confirmation that Ebola is present. Because of the circumstances surrounding this death the Killeen Police Department felt it was better to err on the side of caution in the interest of public safety. This investigation is in collaboration with Fort Hood authorities. The name of the soldier has been withheld at this time due to notification of his next of kin. Detectives continue to investigate this death and information will be released as it becomes available. The deceased female has been identified as 25 year Shainta Nicole Tiller of Grand Prarie. The manner of death has not been determined at this time as the detectives are awaiting the autopsy results. Killeen Police and Fire departments investigate a fire and death of a woman in local motel room. The Killeen Fire and Police Departments responded to a 911 call reporting a possible structure fire at the Palace Inn, located at 6200 E. Veterans Memorial Blvd, on Saturday, July 5, 2014, at 11:31am. Upon the officers arrival they were told by the maintenance personnel that they were checking the rooms of those customers that were supposed to be checked out by 11:00am. While on the second floor they smelled smoke in the area of room #219; a pass key was used to check on the welfare of the person who was checked into that room. Upon entering the smoked filled room, a female was found inside that appeared to be deceased. Killeen Fire Department paramedics confirmed that the female was deceased and contacted Justice of the Peace Bill Cooke; he pronounced the 25 year old female deceased at 11:58am. He also ordered an autopsy to be performed at the southwestern institute of forensic sciences in Dallas. The cause of death has not been determined at this time. At this point the Killeen Police and Fire departments are working together to determine the cause of the fire and the cause of the females death. Detectives are asking anyone who may have information about this incident to contact Crime Stoppers at 254-526-TIPS (8477), go online at www.bellcountycrimestoppers.com or text BELLCO along with the tip to 274637. All information is confidential and you can remain anonymous. Killeen Police are investigating the death of a 32 year old man in the 100 block of W. Anderson. Officers responded to 101 W. Anderson #4, today, at 6:04pm, after being told there was a man who was unconscious and not breathing inside his apartment. Upon the officers arrival they were told by a coworker that they were checking on the man since they had not heard from him and he hadn’t shown up for work the day before. When they went inside the apartment they located the resident with apparent trauma to his head. Justice of the Peace Bill Cooke pronounced the 32 year old victim deceased at 7:14pm; he ordered an autopsy to be performed at the Southwestern Institute of Forensic Sciences in Dallas. The victim has been identified as Sean William Schumann. Detectives are continuing to follow leads involving this case. They are still asking anyone who may have information regarding the victim’s recent acquaintances or information about this homicide, to contact Crime Stoppers at 526-TIPS (8477), go online at www.bellcountycrimestoppers.com or text BELLCO along with your tip to 274637. Text HELP for help with the tip or text STOP to stop the tip, message and data rates may apply. All information is confidential and you can remain anonymous, if your tip results in the arrest of the suspect responsible for this crime you could be eligible for a reward up to $1,000 in cash. Officers responded to the 101 W. Anderson #4, today, at 6:04pm, after being told there was a man who was unconscious and not breathing inside his apartment. Upon the officers arrival they were told by a coworker that they were checking on the man since they had not heard from him and he hadn’t shown up for work the day before. When they went inside the apartment they located the resident with apparent trauma to his head. Justice of the Peace Bill Cooke pronounced the 32 year old victim deceased at 7:14pm; he ordered an autopsy to be performed at the Southwestern Institute of Forensic Sciences in Dallas. Detectives are awaiting autopsy results to determine the victim’s cause of death. Detectives are asking anyone who has information about this death to contact Crime Stoppers at 526-TIPS (8477), go online at www.bellcountycrimestoppers.com or text BELLCO along with your tip to 274637. Text HELP for help with the tip or text STOP to stop the tip, message and data rates may apply. All information is confidential and you can remain anonymous, if your tip results in the arrest of the suspect responsible for this crime you could be eligible for a reward up to $1,000 in cash.